Open for rental May 1, 2019. This beautifully decorated 5th floor unit includes granite countertops, tiled floors, upgraded appliances and three flat screen televisions (with SMART features). The master-suite has a king size bed, walk-out slider door to the balcony and walk-in closets, along with a ceiling fan. The master-bath is spectacular with an oversized soaking tub, tiled oversized shower room, double vanity and make-up counter with seating. 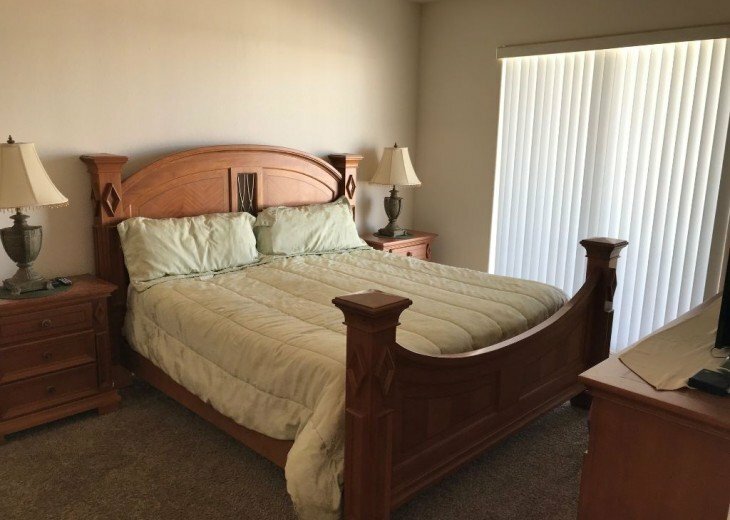 The other two bedrooms are fully furnished and equipped with ceiling fans. In addition, the unit has a large laundry area with a full size washer, drier and a utility sink. 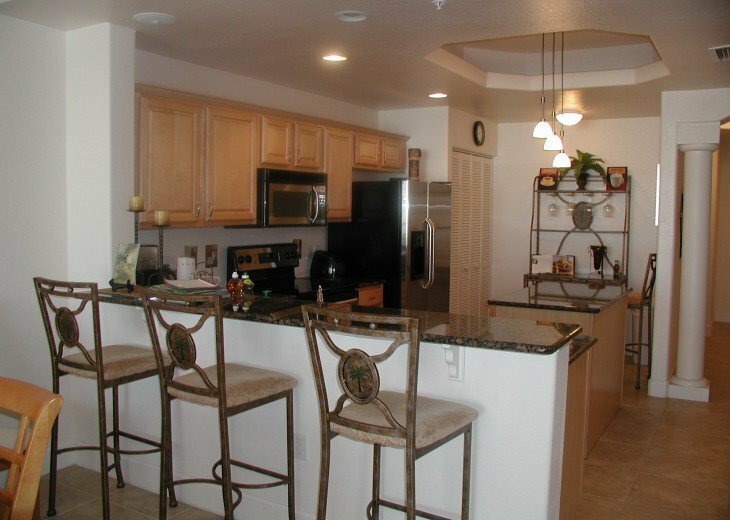 The unit is in a private gated community, and each building features two elevators, a secured access lobby, fire alert system and automatic sprinkler systems. Storm shutters are available for extra safety. The beaches are huge and rather private even during the peak visiting months. 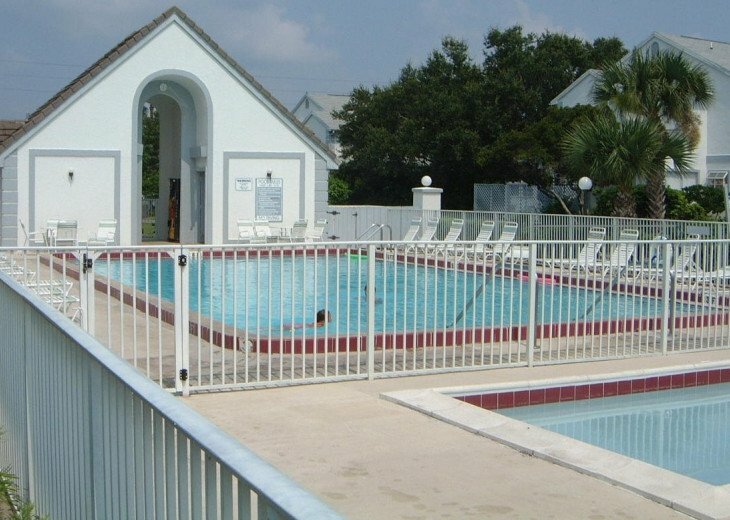 Private access to the beach is a short two-minute walk from the building. There are heated pools, tennis courts and racquetball courts, plus nearby activities such as world class fishing, shopping, dining and nightlife. Small dogs allowed with prior approval from the owner. Monthly rates will vary depending on arrival date and length of stay. Generally the rate will fall between $1800 - $2600 monthly and does not include the 12% Florida Rental Tax, deposit and $125 cleaning fee. Parking garage on ground level. Private pool and hot tub for condo visitors only. 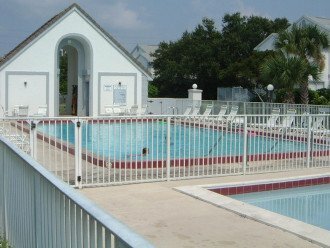 Access to all other pools and beach within a couple minute walk. Pools, pools, pools. Beach, beach, beach. Cocoa Beach is known worldwide for the surf, and is home to the famous Ron Jon's Surf Shop and the Cocoa Beach Pier. However, the waves near our condo are smaller and mellow most of the time…perfect for a nice dip in the ocean. Kennedy Space Center and Cape Canaveral Air Force Station reside just a short drive from Mystic Vistas. Cape Canaveral is the closest beach to Orlando, Disney World, Sea World, Universal Studios and provides miles of beautiful sandy beach and blue water. Daytona Beach is about an hour drive to the north. Orlando International Airport is 45 minutes away and Sanford International Airport is about 60 minutes away. Owner and property manager can help provide guidance on places to eat. Owner and property manager can help provide guidance on things to do. Owner is willing to discuss special monthly rates depending on arrival/departure dates and length of stay.